As global demand for food and fuel increases, U.S. soy is helping to answer the call. Soybean meal, for example, feeds the livestock that we eat, and soy foods are a major source of protein for people around the world. 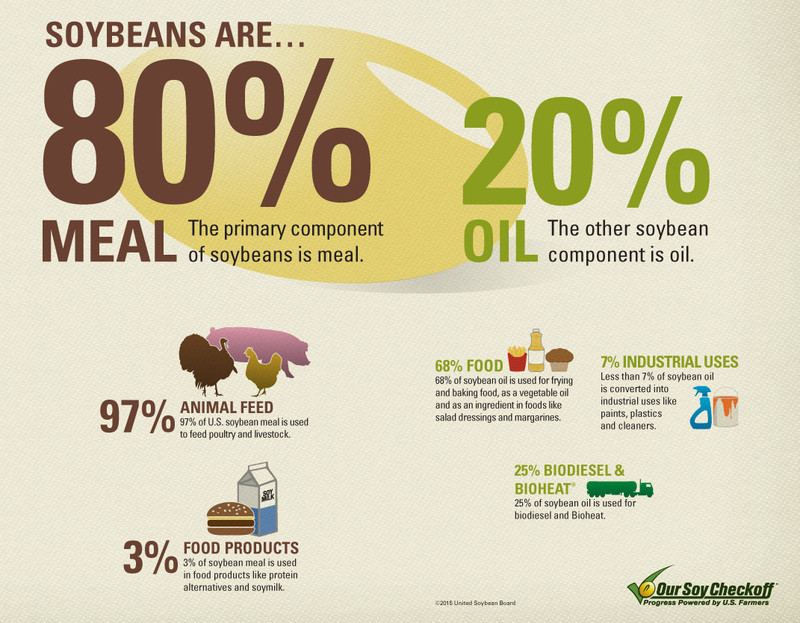 Soybean oil makes up much of the vegetable oil we use to cook our food. It’s also used to produce biodiesel, which fuels automobiles and heats buildings. Soybeans are an excellent source of proteins and fats/oils, meeting and exceeding two of the world’s most basic needs. The next time you think about soy, remember: it’s not just a bean… it’s bigger.